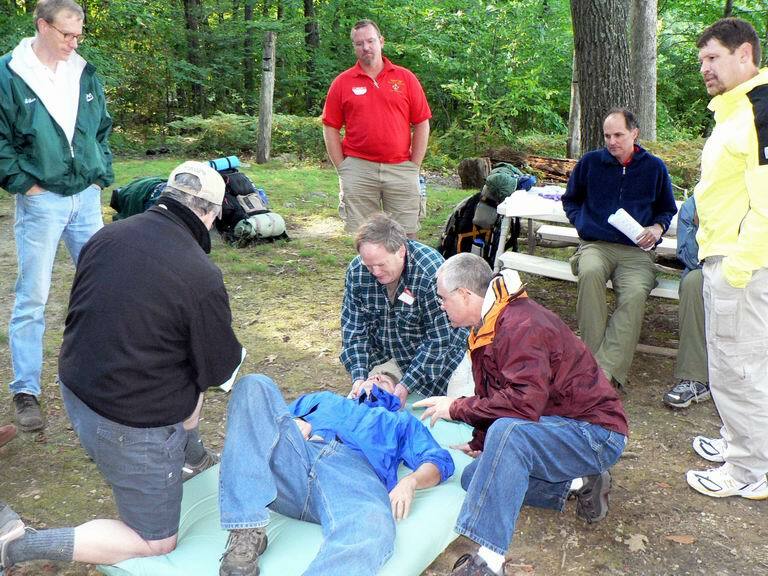 Starting in the summer of 2015, Philmont will require each crew have two persons certified in Wilderness First Aid (WFA). Chief Watchu highly recommends that three persons in each crew become certified in WFA and your Watchu fee includes the cost for training three crew members. Having three certified will prevent any dropouts who may be trained from impacting your crew. If no one in your crew is WFA trained when you arrive at Philmont, you will not be allowed on the trails. As matter of clarification, WFA training in no way satisfies or replaces the requirement for a minimum of two persons in each crew to be CPR certified – in fact, CPR certification is a prerequisite for attending WFA training. Chief Watchu recommends in addition to those WFA trained that as many other crew members as possible be CPR certified. 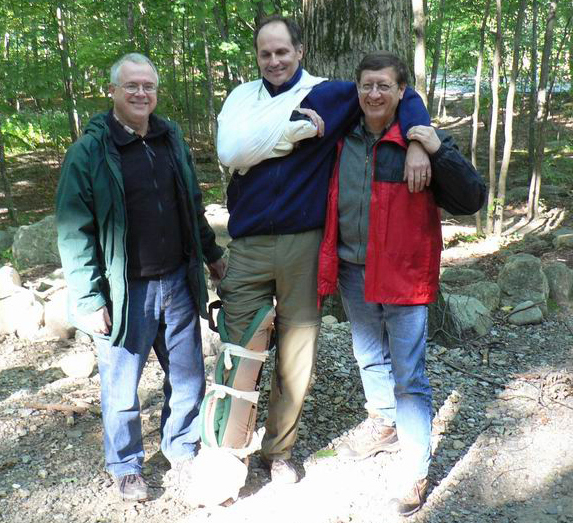 Knowing it can be difficult to obtain WFA training, Patriots' Path Council has established a program within the council, using BSA volunteers to keep the cost down to an absolute minimum. Dates of WFA and CPR training courses are listed on the Council Course Offerings tab - download a WFA or CPR flyer, then go to WFA Registration and CPR Registration to register. Both your WFA and CPR certifications will be valid for for two years. Participants must be 14 years old or older to be certified. Finally, we strongly recommend that you register for a fall/winter session to avoid classes that fill up in spring months so you avoid being denied a seat. WFA training will be conducted from 8:00am to 5:00pm on Saturday and Sunday on the scheduled dates below. Register Online here. Participants must be 14 years old or older and have a valid CPR certification. Scheduled training dates and locations for the 2018 to 2019 training program. All students are must hold a val Adult CPR certification before taking WFA training. See the CPR training dates below. Minimum student age is 14. No meals are included. Please bring your own lunch and drinks for both days. The November training date will be open for 2018 PPC Philmont/Watchu members until 2 weeks prior to the course. At that time, we will open up registrations for all participants. Please be advised if at least 6 people are not registered, the class will be cancelled. Register early to ensure enrollment. We reserve the right to limit the number of participants from any unit or crew. Wear comfortable clothes you won't mind getting dirty, including dressing in layers and rain gear for the outdoor sessions. Bring your backpack packed for the trail (the contents are your "first aid kit"). CPR classes are limited to the first 12 persons and will be conducted from 6:30 to 11:00pm on Fridays at the location listed. Register online here. Participants must be 14 years old or older. Register early to ensure enrollment. Additional WFA or CPR and Basic First Aid training may be scheduled as needed. Check on a regular basis for any additional classes. If you have a large enough group for a special class, contact our training team at wfa@watchu.org for availability. Individuals or groups that cancel a program reservations (in writing) 30 days prior to the date of the event, will receive a refund of fees less a 15% administrative charge. No refund will be made after the 30-day cancellation deadline. Notify council 2 week prior to the event of any changes (participant name or course date). No changes can be accepted under 2 week prior to course. Philmont will accept the following levels of training (a copy of a current license must be presented) in place of a 16-hour Wilderness First Aid course.